Arthroscopy is a surgical procedure that uses several small incisions to access the inside of your knee with a tiny camera and specialized instruments inserted into the joint space. Using arthroscopy, your doctor can confirm your diagnosis and repair any injured tissue. What can I expect before knee arthroscopy? You will need a preoperative physical performed by your primary care provider within 30 days before surgery. If you do not have this done, we will have to cancel and reschedule your surgery. What can I expect after knee arthroscopy? Immediately after surgery, you will be placed in a recovery room and monitored by a nurse. You can expect your knee to be bandaged and elevated. If after several hours you are awake and alert, a nurse will help you get ready to go home. You will need to arrange for someone to drive you home. Some patients feel comfortable walking out of surgery, while others wish to use crutches. What can I expect while I am recovering at home after knee arthroscopy? You should rest, ice, elevate, and perform gentle exercises as directed for your knee. Do not spend an extended amount of time standing, walking, or taking trips up and down stairs during this time, since too much movement can cause your knee to become more painful and swollen. Medication will be prescribed to you for the postoperative pain. It is your responsibility to have the prescription filled. Before surgery, your physician will schedule a postoperative clinic visit. At this visit, you will discuss the surgical procedure and findings, physical therapy, and further activity guidelines. What is cold compression therapy, and why did my doctor recommend it? Summit Orthopedics believes that the cold compression therapy unit will provide you with the best possible outcome in the days following your surgery. How long will it take to recover from knee arthroscopy? The length of your recovery can vary, so talk with your orthopedic surgeon about the recovery plan for your specific situation. Ask Dr. Hansen: What Are The Surgical Options For Knee Pain? 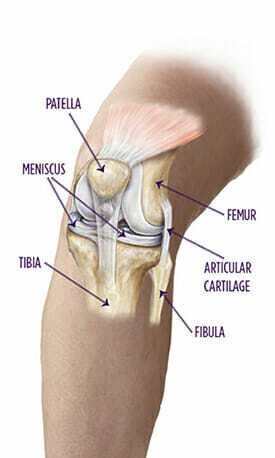 Often, knee pain can be controlled with nonsurgical treatment. When these treatments fail to manage pain, Dr. Hansen explains the available surgical options. Ask Dr. Furmanek: What Is Arthroscopy? Arthroscopic procedures have increased surgical accuracy with less invasive techniques that also improve the patient recuperation experience. Dr. Furmanek explains how arthroscopy works. If you and your surgeon determine that arthroscopic surgery is the best option for your knee issue, we tell you what to expect.